Hot Crazy Summer is here! The flames grow higher, as raiders, 99ers and hellbugs are looking to take you down. Complete Arkfalls for new rewards and contracts! Finish the daily and weekly contracts to get your weekly reward. The reward will contain a guaranteed Legendary HOT weapon and an epic mod with the chance to be legendary (chance at a jackpot weapon). A new pursuit has been added called "Ride the Heat Wave". Complete this pursuit during the Hot Crazy Summer event to receive a special reward: epic jackpot weapon "Smolder" (Assault Rifle) and the title "Sizzlin' Surfer". 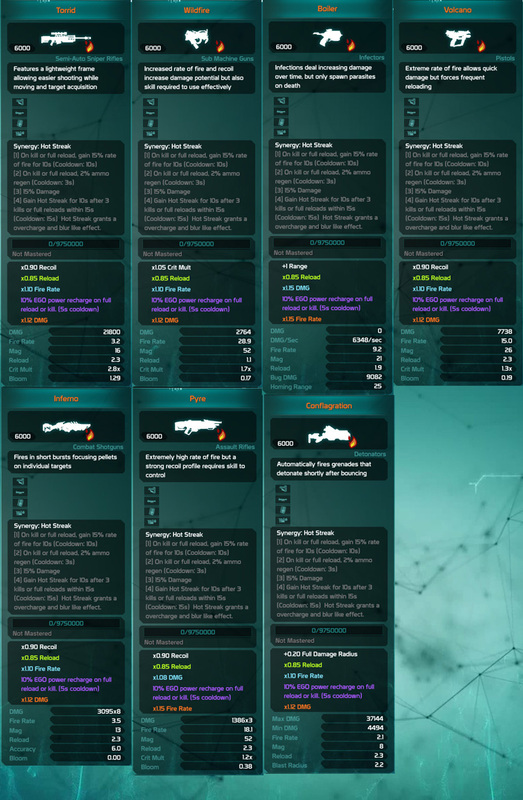 Gain Hot Streak for 10s after 5 kills or full reloads within 15s (Cooldown: 15s) Hot Streak grants overcharge and blur.